This level has medium difficulty. For this level try to play more near to blockers to break or as you have more candies available to play and make special candy. 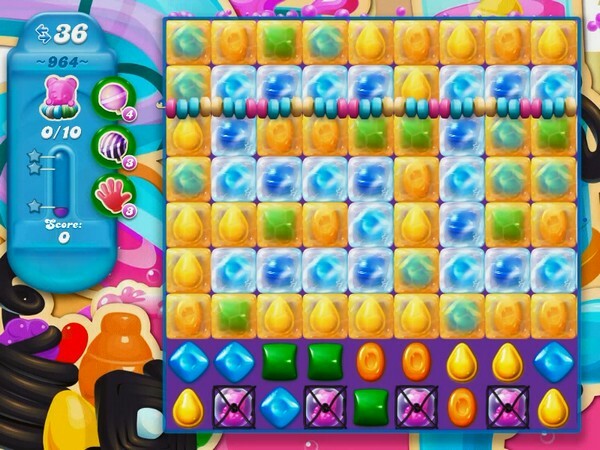 Combine special candy with each other to break more blockers. Or play near to bear to take them to the top part of the board. This level isn’t exactly hard, and kinda fun, but frustrating. 1) you use half you moves before you can get off the 1st screen 2) fish will not help free the bears unless all other blockers are cleared, which stinks 3) why are bears in blockers anyway??!! Ok, SERIOUSLY??!! this level is NOT that hard, and yet, I just can’t get it!! I have probably played it over 300 times,, just not enough moves for the last couple bears,,sooooo over this level!!! Please can someone tell me why some of the bears stay stuck at the top/above the string?